Our research combines expert analysis, proprietary panel insights, and transaction-level data. Our team has experience spanning major research firms, including Nielsen, Ernst & Young, and Accenture, and digital disruptors, such as Snap, Inc. and PepsiCo. 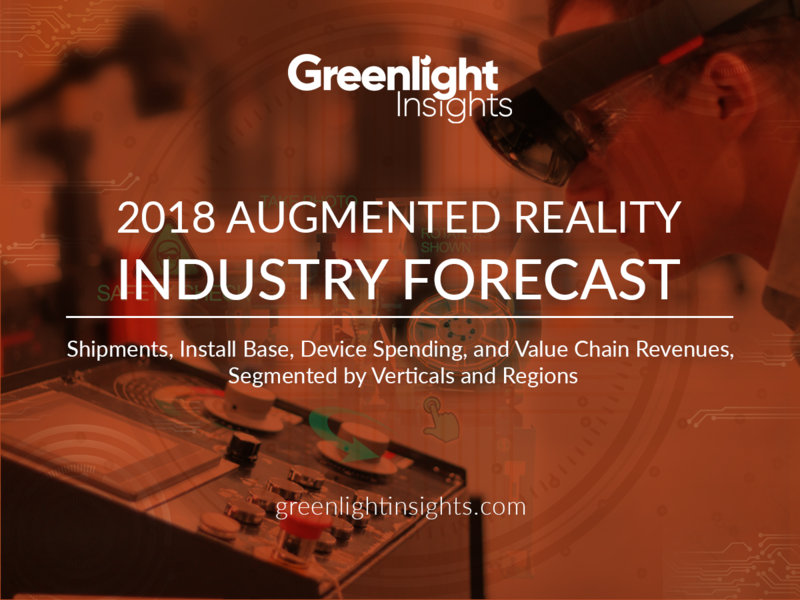 Greenlight Insights produces its semi-annual Augmented Reality Industry Forecast & Report with the contributions of the industry’s top analysts and authorities from around the globe. Order the 2018 Augmented Reality Industry Forecast. 100+ page PPT report with detailed 5-year global and regional forecasts, financial benchmarks, and industry analysis for executives. Includes forecasts in Excel formats.